It's time I shared more of my wood blocks with you guys. I made these for a little man named Elliot. His Mommy is friends with my Mommy. Well my Mom picked out these cutie patootie papers for the blocks, and they were so much fun! It also had a fun little section for babies stats. If you're interested in this paper, it can be found at Michael's HERE. I hope you all know how much I appreciate every one of you. I'm so blessed that you let me share a part of your day! I think by far these are my favorites!!! For some reason I love the white around the edges. It just looks sooo light and playful. I love the personalization too...so sweet!!! Great choice Mommy!!! 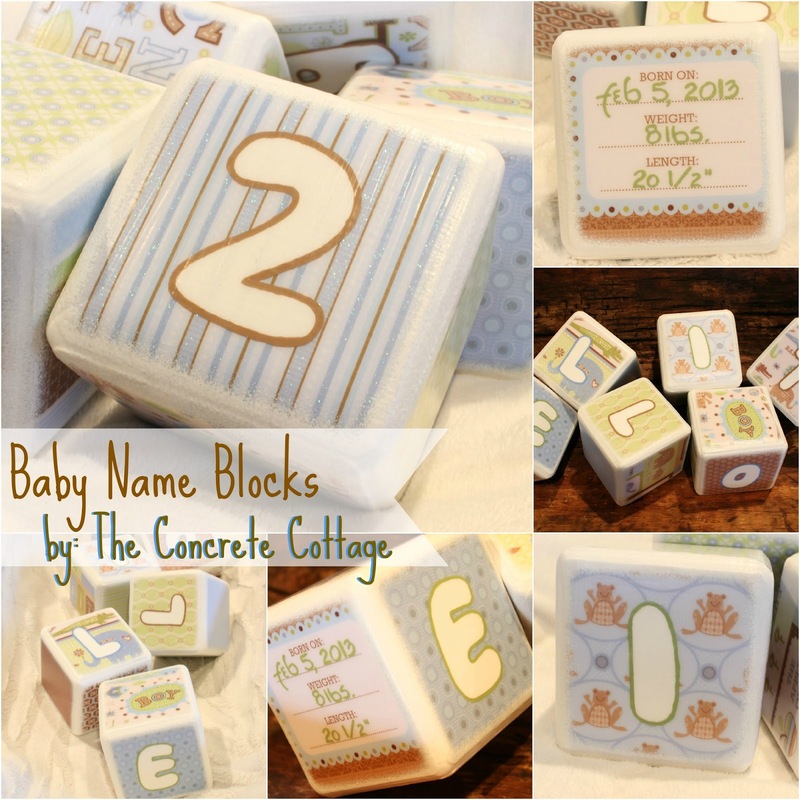 Jeannine, those blocks are too darn cute! I really love them, and you do such a good job. They're probably keeping you pretty busy, aren't they? Hope you're veen having a great weekend! So adorable, you did a. Nice job! I have a bunch of blocks that would work perfectly. Thanks for sharing such a cute idea. What an adorable baby craft! Thanks for sharing at my Twirl & Take a bow party! Have a great week. I have to order a set for my great niece who is due to arrive any day now. Her name is Cassadee ( nod to my sister Cassandra and his mother Delores (Dee). Her nursery is done in Zebra, Hot Pink and Polka Dots with some Paris art work thrown in. I love these blocks, they are perfect for a gift.